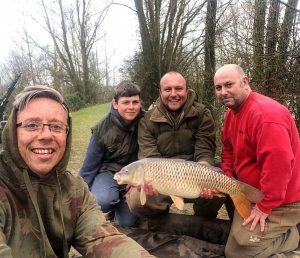 Home » Carp Fishing Articles • General » Need some tuition on carp fishing? Need some tuition on carp fishing? For quite some time I’ve had lots of people ask me whether I had any plans to take on angling tuition but not wanting to look like I was just another angler that decided to jump on the band wagon, I had decided not too. However, with the ongoing questioning about supplying some kind of help regarding angling or bait information I finally cracked and have now decided to give it a go. I’ve always been a hard working individual in anything I’ve achieved and my angling is just one of the things that I’ve worked very hard with. This year tallys my angling up to 33 years as an angler and I can’t believe how quick the years have gone but yet I still learn something new almost every time I go out. In fact I came to the conclusion some years ago that you never stop learning, not just in angling but in life in general. All those things your parents told you and went on and on about when you were younger suddenly start to make sense and this very same scenario happens in angling. I actually read a status update the other day on social media ( it doesn’t matter who wrote it ) that said something like. I can’t believe I’m still learning about angling – and much like me many years a go this guy too was going through what I was. I’ve had many people take interest in my website http://www.joescarptutorials.co.uk and have had some great feed back. I’ve had quite a few anglers that have booked and loved the sessions. Some have caught their personal best but it isn't about that. It's about fine tuning things and learning as much as you can. I'd urge anyone wanting to book to do it and not wait. All sessions are personal and will be kept confidential if that’s what you require. After all, it’s not about me, it’s about you. Ignore those that may mock you as many other hobbies give tuition. Golf, tennis, football even flying lessons are available! Think what you like but you cannot learn on YouTube or any other material what you can with a one to one day out. There’s only so much you can get from free material on line but a hands on session is always going to be the best way to do it. If you want to catch up with what I do angling wise you can always grab a copy of Carpworld as you’ll always catch what I do and find all my techniques and baiting applications there every month.